‘Book’ yourself a journey of a lifetime to the Scottish Highlands, switching back and forth between Victorian/Edwardian times and the present day adventures of American cop Cathy MacPherson. 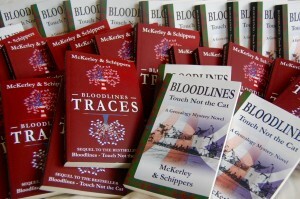 Order your Kindle copy of Bloodlines-Traces, sequel to Bloodlines Touch Not the Cat, during the countdown days Saturday July 8 to Tuesday July 11 starting at 80% …..
Cathy’s quest to find out more about her Scottish ancestry, leads her past the battlefields of WW I Gallipoli and follows the life and times of one of the first fictional woman to study medicine at the University of Edinburgh in 1897. What a great read. Thoroughly enjoyed it from start to finish. Tom and Ingrid have a way with words, made me feel I was right in among the story. 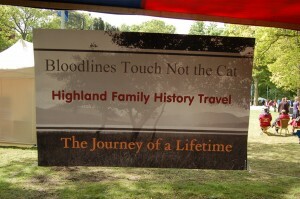 As a sequel to Bloodlines – Touch Not the Cat, here is another well researched Genealogy Mystery novel, Bloodlines – Traces, once again set against the majestic, moody backdrop of the Scottish Highlands. With a multi –layered, page-turning narrative, it combines an atmospheric Gothic romance with a gripping contemporary murder mystery – Charlotte Bronte meets Sara Paretsky. ! Vivien Devlin, Arts and Travel Writer.